I want you this morning to think of the most important young person in your life. Could be a son or daughter, a grand child, a niece or nephew, or a friend, or student. And not just the most important young person, but the one most likely to face the battle of faith and live out their lives proclaiming the gospel of Jesus in word and deed. They may or may not be in career ministry, but they are someone in whom the Spirit of Christ and the gospel resides. Now, I want you to imagine that you have one last opportunity to inform, instruct, and encourage them before you leave the earth. You have spoken Gods’ word into their lives. You have set them an example worthy of following of a faithful, faith-filled life. You have mentored them in the ways of faith and discipled them in the life and teachings of Jesus. You have prayed to be filled not with a spirit of fear but with the Spirit of God, the Spirit of power and love and self-control. You have walked with them and loved them and pointed them to Christ and now, now at the end of your life you have one last opportunity to share your heart with them. What would you say? What would you tell them? What would be the most important statement you would speak into their life, into their heart and mind and spirit at the end of your life? The answer to that question is the task Paul sets for himself in his second letter to Timothy. Paul knows that the time of his departure has come. He declares that he has fought the good fight, he has finished the race, he has kept the faith. His reward, a crown of righteousness awaits, and he has a final word for Timothy, his son in the faith. At the heart of his message to Timothy, and his message to us, is this command: “Remember Jesus Christ.” Take note of this word “remember” because it is a word of force. Though Paul has used it elsewhere, this is the only time he uses this word with Timothy. Paul uses a word that goes beyond just a casual recollection. When Paul tells Timothy, and those who would be like Timothy – loving Jesus and sharing the good news of Jesus through their words and their lives – when Paul tells us to “remember,” what he wants us to understand is this: Constantly, continuously, in every moment of life that can be labeled “now,” know, live, teach, preach, and respond to the world in light of Jesus Christ, risen from the dead. Jesus Christ is to be foremost in your thinking and the priority of your living. Think of Jesus when you rise and think of Jesus when you lay your head upon the pillow at the end of the day. Begin your work with Jesus in your heart and in your thoughts so that throughout the day, as you world on behalf of yourself or others, you will do so as unto the Lord Himself. When you teach your children, teach them of Jesus and teach them like Jesus. When you are filled with joy let it center around Jesus and when sorrow intrudes on your heart, bring your heart to Jesus. Draw your strength from Jesus and lay your weakness before Jesus. When you go to the grocery, take Jesus with you and introduce him to everyone you meet. Use your words for Jesus and let the look on your face shine like Jesus and let every imagination of your heart yield to Jesus. Now, there are four important facts about Jesus at the heart of Paul’s command to remember Jesus. We are first of all to remember that Jesus is the Christ. Then we are to remember that Jesus is the offspring of David. Next, we are to remember that Jesus is risen from the dead. And finally we are to remember that all of this is gospel, it is good news to be proclaimed no matter what. First, we remember that Jesus is the Christ. “Jesus Christ” is not a swear word, nor is Christ just Jesus’s last name. The name, Jesus, is the Hebrew word Yeshua and it means, literally, God saves. The word “Christ” is from a Greek word that means “chosen” or “anointed.” Jesus is literally the One chosen by God to save us from our sins. He is God’s unique and special provision. The Bible informs us of three conditions that make Jesus important to us. First, the Bible reveals that “all have sinned and fall short of the glory of God.” Second, the Bible informs us in no uncertain terms that “the wages of sin is death.” And third, we find in God’s word that the human heart “is only inclined toward evil continually.” What this means is that each of us rebels against God’s purpose for creating us, that we are subject to the penalty of our rebellion against our Creator, and that there is nothing in us that would make us able or interested in doing anything about our situation. We, each of us and all of us, need a Savior. We need someone who can be what we cannot, who can do what we will not, and who will be acceptable to God as a substitute. But if every human heart is only inclined to evil continually, then who can help us? Only God can. Our Savior must come from God and be God come in flesh, one of us, all of God. Jesus is God’s chosen Savior, God and man in one. Jesus is the Christ. Remember this. Jesus is no ordinary man. He is fully God and fully man and He comes to save. Jesus is the offspring of the woman who bruises the head of the serpent. But there is, I believe, another reason Paul emphatically tells Timothy to remember that Jesus Christ is the offspring of David. It is in contrast to the fact that Jesus is “risen from the dead.” As the offspring of David, Jesus, the man who is God, really died. One of the false teachings the opposition is going to raise that Paul is preparing Timothy to confront is the assertion that Jesus did not rise from the dead, that there was no resurrection. Even on the day of His crucifixion the Jews had his tomb sealed and guarded so no one could steal his body and then report that he had risen from the dead as he claimed he would. By telling us to remember that Jesus is the offspring of David, Paul tells us to remember this about Jesus, he was a man who was crucified and died. There are those even today, especially today, who, in their desire to deny and discredit the resurrection claim that Jesus did not actually die on the cross. They tell us either that he just passed out and was thought to be dead, or that he wasn’t really there at all and therefore could not have died. Remember, Jesus Christ, the offspring of David, died. Think about who knew that day that Jesus died. God knew it. The gospel accounts of the crucifixion tell us that Jesus cried out with a loud voice saying, “Father, into your hands I commit my spirit.” And then he breathed his last. The soldiers came to break his legs to speed his death, but found he had already died, so they stuck a spear in his side to certify his death. The soldiers knew he died. The centurion standing there in charge of the whole affair, watched him die, and at his death said, “Surely this man was the Son of God.” He then reported to Pilate that Jesus was dead, so even Pilate knew. All the assembled crowd that had stood around mocking and sneering and patting themselves on the back for ridding themselves of such an inconvenient, politically incorrect annoyance, “when they saw what had taken place, returned home beating their breasts.” They went home mourning because they knew Jesus died. Joseph of Arimathea and Nicodemus, who came and took the body from the cross and wrapped it in linen and 75 pounds of spices, knew he was dead. Mary Magdalene and Mary the mother of Joses saw them place him in the grave, wrapped in graveclothes. They saw them place the stone that covered the way to the place of the dead. They knew Jesus died. Jesus Christ, the offspring of David, died. And you need to remember. Because in His death, Jesus, the sinless Son of God, the offspring of David, paid the penalty of death that sin requires. Jesus took in his body the sins of us all and nailed them to the cross. He did not merely faint. He did not avoid or circumvent the penalty prescribed for human sin by our holy and just Creator. Jesus died. Remember. Remember. Remember Jesus Christ, risen from the dead, the offspring of David. Remember that Jesus died so you will appreciate and remember that he rose from the dead. Christ’s resurrection was more than just another demonstration of God’s power, like raising Lazarus from the dead or feeding the five thousand. Jesus’ resurrection is a permanent condition. Jesus’ resurrection from the dead is God’s seal of approval on the sinless life and substitutionary, sacrificial death of Jesus. Had Jesus sinned He would have died for His sin and stayed dead. Had Jesus displeased the Father in any way, He would have died and He would have stayed dead. 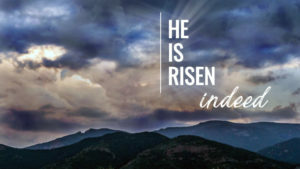 But God raised Him from the dead because everything Jesus was, everything Jesus said, everything Jesus did was intimately and completely in accord with the Father’s will, the Father’s purpose, and the Father’s heart. Christ’s resurrection is the Father’s acceptance of His offering for sin in your place and mine. Remember Jesus Christ, risen from the dead, the offspring of David. Remember because resurrection only applies to dead people. If Christ has not died, there is no resurrection. If there is no resurrection, there is no satisfaction of justice. If there is no satisfaction of justice, there is no salvation. If there is no salvation, there is no forgiveness of sin. And if there is no forgiveness, there is no hope and nothing left for us but an expectation of judgment. In His death the offspring of David assured us of His humanity; by His resurrection, of His divinity. That He was not crucified for His own sin appears from His resurrection; that He was crucified shows that He bore sin, on Him, though not in Him. This is the gospel. This is the good news which Christ brought not only in His words but in His life, in His death, in His resurrection. God sees us in our sinfulness and need, and God accepts the sacrificial death of Jesus on our behalf, and when we put our faith in Christ, God forgives our sin on Christ’s account, and grants to us a new heart, a new spirit, a new life, and a new destiny. This brings each of us to one of two questions. The first question is this: have you put your faith in Jesus Christ and accepted Him as the Savior God sent on your behalf to pay the penalty of your sins and through Whom you can find God’s forgiveness and eternal life? Do you actually have something to remember this morning, a personal relationship with God through faith in Jesus? Have you responded to this good news and obeyed God’s call to faith? Christ’s death on the cross was for you. His resurrection is proof of God’s promise to rescue you from judgment and death when you put your faith in Christ. Have you believed? Today is your day. Remember Jesus Christ, God’s chosen Savior, risen from the dead, the offspring of David as preached in my gospel and give yourself to Him. The second question comes to all of us who have believed and acted in faith on God’s promise. The question is this: Will you “remember Jesus Christ, risen from the dead, the offspring of David as preached in my gospel”? Will you move Him from the background to the foreground of your life? Will you think of Him first, and not as an afterthought when you’ve made your own plans for your life? Will you seek Him out more fervently than any other relationship? Will you value Him as He deserves and speak of Him to your friends and family? You show pictures of your grandchildren to everyone who give you a chance, you show pictures of your dinner, and your accomplishments, and your political leanings all over Facebook, will you show Jesus all over your life as well, if not instead? Christian, Jesus Christ, risen from the dead, the offspring of David is the heart of the faith. Remember. Remember. Remember. Pastor Dale,, this is excellent. How different the world would be if we all put Jesus first, always. There is so much to meditate on here. Thank you.